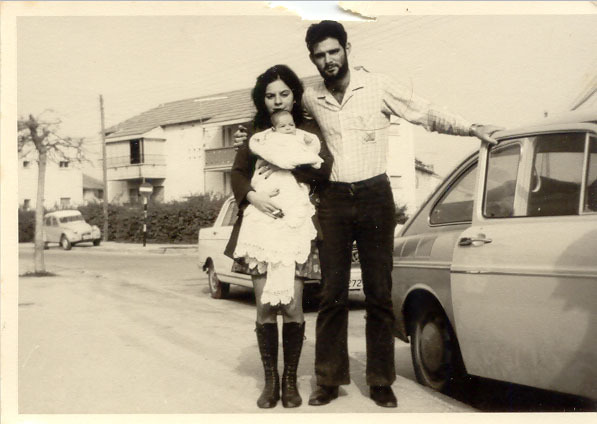 This photo was taken c. 1973, shortly after my parents emigrated from Argentina to Israel. My mother is wearing high leather boots and my father a buttoned down shirt- a style foreign to their new home. They will soon adjust to the warm climate and will trade their tailored clothes with light weight t-shirts.